Business profile will have your customer’s company name as a compulsory field and will ask your customers to enter the company name to which they belong to at the time of registration. The same will appear on the invoice. 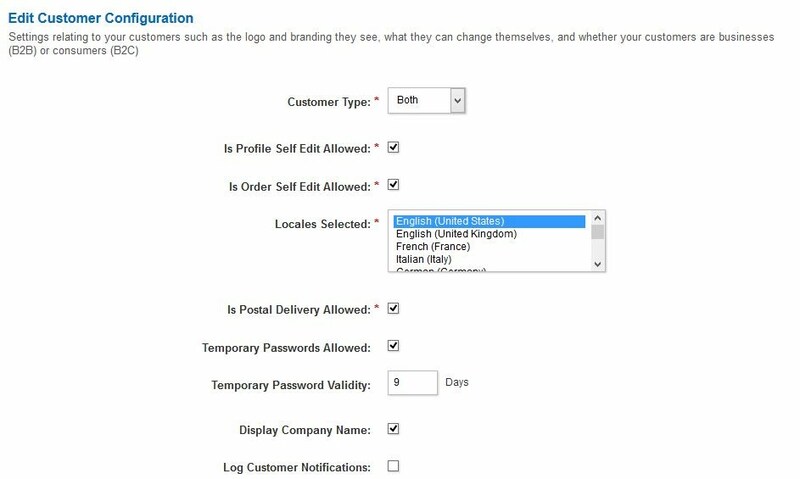 Both will have company name field as well but will not be compulsory field and your customers will have the flexibility to enter the company name or not. Is profile self edit allowed: This when enabled will allow your customers to edit their profile. Is order self edit allowed: This will allow your customers to edit their orders when this option is enabled. Locales Selected: Select your region and language here. Temporary passwords allowed and Temporary password validity: These fields are interlinked to each other and will reset the password as mentioned in the validity field. Display Company name: This option when enabled will display the company name on the invoice. Log Customer Notifications: This option will log all the notifications sent to your customer and will present the same data to your customer. Customer Account Number prefix: This option will allow you to enter a prefix for your customer’s account numbers. Next Available Account Number: The customer account numbers are auto generated normally and this option will allow you to over ride it that will enable you to enter a number of your choice. Generate User name: This option presents you various different combinations to you so that it’s a little easier for your customer to log in to the system. They could use email for login, derive from name of the customer, allow your customers to try email then name. 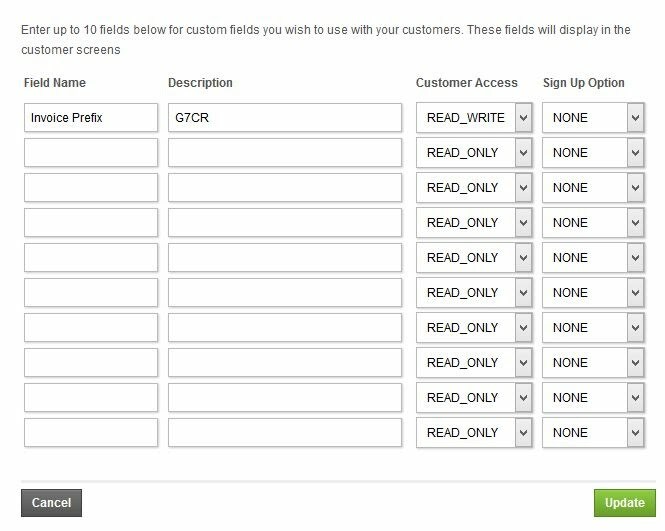 Customer custom fields: Enter up to 10 fields below for custom fields you wish to use with your customers. These fields will display in the customer screens and also appear on the customer invoice.